Quick summary: In this activity students will examine the increasing volume of mobile phones being used and the exportation of obsolete mobile phones to developing countries. They will consider the social, economic and environmental impacts of this issue and gain an understanding of the impact of mobile phone use and disposal on different communities around the world. Students will interpret data from the MobileMuster program and undertake purposeful investigations when interpreting and analysing the data. Students take responsibility for their own resource use. Syllabus Outcomes: GE4-7, GE4-8, EN4-2A, EN4-4B. Digital learning opportunities: Digital sharing capabilities, The Story of Electronics, The Secret Life of Mobile Phones, How Many Mobiles?, Interactive whiteboard (IWB). Homework and extension opportunities: Using the How Many Mobiles? application students can calculate the number of mobile phones that their community potentially has. 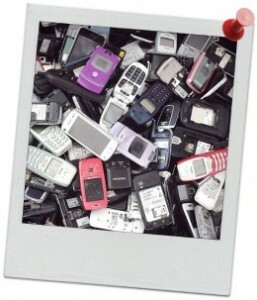 Keywords: Waste, litter, e-waste, mobile phone, consumption, MobileMuster, exportation. Overarching learning goal: Students begin to understand the impact that disposing of mobile phones has on their community and how sending them to another destination does not make them 'go away'. Students will interpret data from the MobileMuster program and undertake purposeful investigations when interpreting and analysing the data. The materials value of mobile phones. Preparing for a debate: Read through your groups research and work out the points they are going to make, provide examples and detailed explanations. Ensure your team pre-empts counter arguments and prepare for rebuttals. Be respectful and supportive of peers. Speak only when recognised by the moderator. Speak clearly, slowly, and loud enough to be heard by the audience. Speak with passion and excitement.